Graduated from the Krakow PWST National Academy of Theatre Arts (2008). 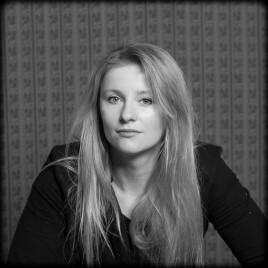 Since 2012 she has been connected the Osterwa Theatre; she also cooperates with the Studio Tetra in Warsaw, the Aleksander Węgierko Theatre in Białystok and Stary Theatre in Lublin. Award-winning at the Actor’s Song Festival in Wrocław and for the interpretation of Agnieszka Osiecka’s songs.